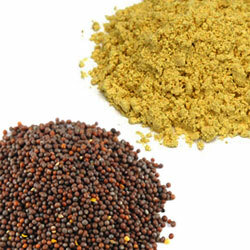 Mustard, known for enhancing the flavor of a variety of Indian dishes is quite a popular condiment. Given its ability to turn simple dishes into tasty delights, mustard is one of the most common items found in the cupboard. But it doesn’t only enhance flavours of food, it can give relief from a number of ailments. Sore throat – Mix 1 tablespoon of salt, 1 tablespoon of honey, 1 tablespoon black mustard powder, juice of ½ fresh lemon and 1 cup of boiling water. Mix all of the ingredients thoroughly, and allow it to cool for 10 minutes. Gargle with the warm mixture to get relief from the discomfort. Arthritic Spain – Mix ½ cup of black mustard powder with warm water to create a smooth paste. Spread the paste onto a clean towel and fold. Lay the folded towel across affected areas for up to 10 minutes. Chest congestion – Take ¼ teaspoon of black mustard powder and mix it with warm water to form a paste. Consume this paste after adding ½ teaspoon of honey in it. Constipation – Mix 4 cups of water and 2 cups of honey. Next, add 1 tablespoon of white mustard powder in it. Consume 1 tablespoon of this mixture daily to relieve constipation. Ring worm – Take ½ teaspoon of black mustard powder and mix it with some water to form a paste and apply it on the affected areas of the skin. Apply this paste three to four times in a day and then wash it off with lukewarm water. Boils – Mix 2 teaspoons of mustard powder and 1 teaspoon of sugar in 1 cup of boiling water. Let the solution cool and remove the layer formed on its surface. Finally, apply this medicine on the affected areas to cure boils on skin. Hiccups – Sipping a cup of warm water mixed with 2 teaspoons of black mustard powder helps control hiccups. Pimples – Roast a handful of mustard seeds in 1 liter of coconut oil. Cool and strain out the oil to store it in a bottle. Apply it on face every day to lighten skin color and get rid of pimples. Indigestion – Mix ½ teaspoon of black mustard powder in a cup of yogurt and consume it after meal. In addition, drink a glass of buttermilk after the yogurt to cure piles. Gout – Make a mustard plaster and apply to the achy joint. Mix 1 part mustard powder to 1 part whole wheat flour and add enough water to form a thick paste. Slather petroleum jelly on the affected area. Spread a thick coat of mustard paste on a piece of gauze or cloth and apply over the greased-up area. Tape down and leave in place for several hours or overnight. Bleeding gums – Take ½ tablespoon of mustard oil and add a pinch of Sendha Namak or regular salt and massage your teeth and gums daily. Weak teeth – Mix honey and mustard oil in equal quantity and massage your teeth and gums before brushing your teeth with a regular paste. This will make teeth stronger. Clove or laung is a common spice added to most Indian dishes, but this tiny, brown spice is much more than just an additive. Packed with nutrients namely, vitamins and minerals like iodine, calcium, phosphorous and iron, clove can do much more for your body than simply make food more palatable. 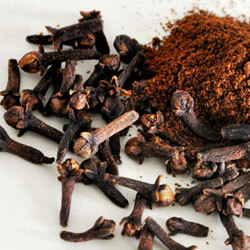 Fever – Grind 2 to 3 of Clove buds and an equal amount of Chiretta with water and consume it 3 to 4 times a day to cure fever. Excessive hunger disorder – Take 3 pinches of Clove powder and mix it with a cup of lukewarm water and consume it to get relief. Toothache – Pressing a clove bud between the jaws, at the site of aching tooth eases the pain. Apply clove oil in the cavity of decayed tooth. This would reduce the pain and help to ameliorate infection. Cough – Take 200 ml of water and add 3 to 4 pieces of crushed cloves, 1 pepper corn and 6 to 7 Tulsi leaves to the water. You may add a small piece of ginger to the mix as well. Boil the water till it is half its quantity. Once the decoction has cooled a bit, strain it and drink it warm with a little honey to add that extra sweetness. Joint pain – Roast a few clove buds and wrap them in a soft cloth. Apply this to the aching joint while it is still warm. Re-heat the poultice when it becomes cold. You could alternatively crush the cloves coarsely and apply it. But make sure you do not heat it after they are crushed. The essential oils present in the clove are highly volatile and will evaporate if heated again. Body pain – Prepare warm bath water and add a few drops of clove oil to it. Soak in the warm water for some time to relieve pain. Sore throat – Take 1 pod of clove and add it to 1 teaspoon of honey. Let it remain in the honey for about 8 hours and drink slowly swallow the honey. This will coat the throat helping in giving you some relief. Throat congestion – Cough and throat congestion can be cured by chewing roasted clove buds. It is also an effective remedy in cases of inflammation in the pharynx (pharyngitis). Another cure is to prepare a decoction by boiling 5 to 6 cloves in 30 ml of water. Take this decoction with 1 teaspoon of honey thrice a day as an expectorant. Asthma – Soak 2 pieces of cloves, 12 to 15 Basil (Tulsi) leaves, 10 black pepper corns in ½ cup of water and boil for 15 minutes. Strain out the water, mix it with milk, add 2 teaspoons of honey and drink the milk. Nausea and vomiting – Prepare a paste by mixing thoroughly ½ teaspoon of clove powder in 1 teaspoon of honey. Take this paste in your finger and lick it whenever the symptom occurs. Green Cardamom is one commonly used item in Indian kitchen and is mainly used in food as a flavouring agent. But it has some medicinal properties too and can be used to get relief from some ailments. Indigestion – Take 2 to 3 pods of cardamom, ½ inch piece of ginger, a 2 pieces of cloves and ¼ teaspoon of dhania powder and grind them well. Put this mixture in a cup of warm water and drink it after stirring it well. It acts as an instant remedy for indigestion, bloating and gas. 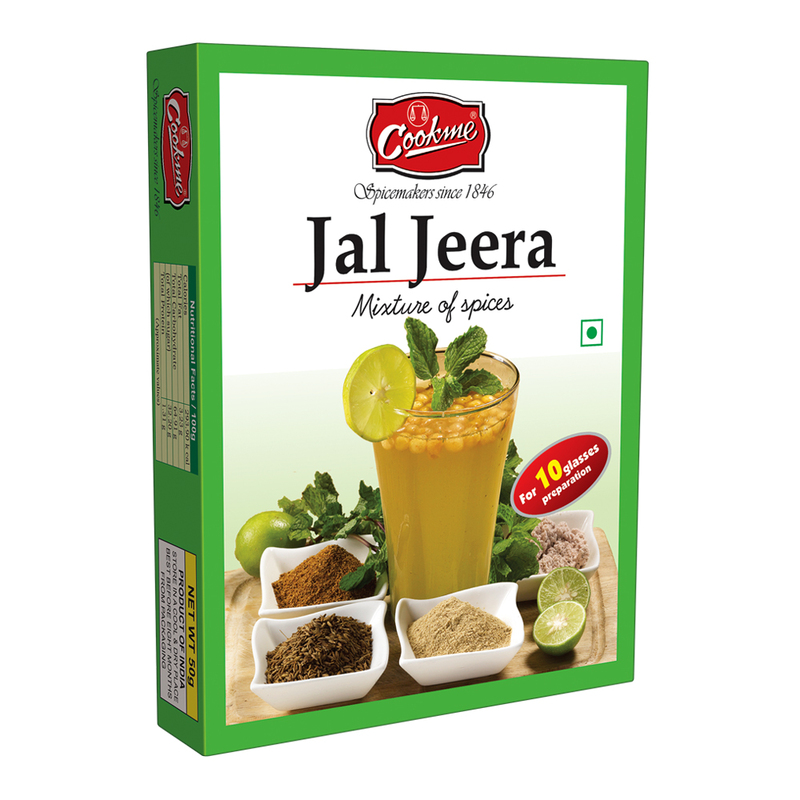 Burning urination problem – Take ½ teaspoon each of Cardamom powder and Amla powder and mix them in a glass of water thoroughly. Drink this twice a day for as long as the symptom persists. This will relieve you of the burning sensation. Giddiness – Take a few pods of Green Elaichi and crush them. Add water and Jaggery to make decoction. Take 1 ounce of this decoction 3 times a day. Depression and exhaustion – To recover from such a state, take 1/4 teaspoon of powdered Elaichi seeds in water and boil them for 3 to 4 minutes. Then consume this solution after cooling it down. Anaemia – Add a pinch or two of green elaichi powder and turmeric to a glass of warm milk. You can add a little sugar for taste if you like. Drink this every night to help relieve weakness and other symptoms of anaemia. Flatulence – Take a mixture of green elaichi powder, dried ginger powder and Fennel seeds (Saunf) powder in equal quantities. Add 1 teaspoon of this mixture in a cup of water, put a pinch of asafoetida and consume it to get relief from Flatulence. Dizziness – For dizziness and lightheadedness, take Lemon juice mixed with some sugar and a pinch of Elaichi powder and consume it. 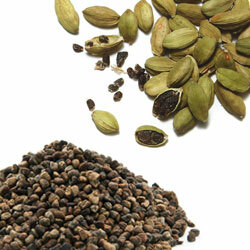 Stomachache – Crush 2 pods of green cardamoms to powder and mix it with 1 teaspoon of honey and consume the mixture. 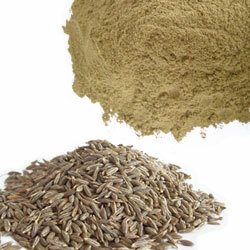 Sore throat – To clear sore throat, take ¼ teaspoon each of Elaichi seed powder and cinnamon powder and boil them in water. Add a pinch salt to the boiling water, cool it and drink. Hiccups – Make an infusion by boiling 2 pounded whole green Elaichi in a cup of water along with 5 leaves of Mint for 2 minutes. Cool the solution, strain out the leaves and drink it. This will stop the hiccups. 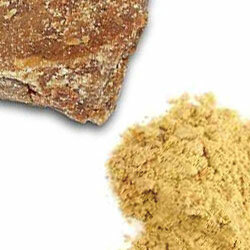 Asafoetida, popularly known as Hing is a gum extracted from the sap of the of the giant fennel plant. When fresh, this gum is grayish-white in color but as it ages it becomes yellow and ultimately ends up to a brown color. Hing has its unique place in Indian cuisine. But this herb also has medicinal properties and can be used as home remedy for quite a few problems. Menstrual cramps – Take 1 cup of Buttermilk and put 1/2 teaspoon of Fenugreek (Methi) powder, a pinch of salt and a pinch or a small lump of Hing into it. Stir the buttermilk thoroughly until the ingredients mixes evenly and then drink it to reduce the cramps. Flatulence – To reduce flatulence, take a mixture of 1/4 teaspoon of dry Ginger powder, a pinch each of Asafoetida (Hing) and Black salt in a cup of warm water and consume it. This will give relief from Flatulence. Toothache – Mix 1/2 teaspoon of Asafoetida (Hing) powder in 2 teaspoons of lime juice. Heat the solution slightly. Finally dip a cotton ball in the solution and place it on the aching area. Cracked Heals – Taker ½ teaspoon of Neem oil and add 2 pinches of Hing powder in it and mix it thoroughly. Apply the oil to the cracked heels and rub it gently. This will provide you relief from cracked heals. Productive Cough – Mix 1/2 tea spoon of Asafoetida powder with 1/2 teaspoon of dry ginger powder and 2 teaspoons of honey to a thick consistency. Put the mixture in your mouth, keep it there and let the juice slowly go down the throat. This clears out congested lungs. For best results, have this mixture thrice a day. Cold – In order to get relief from cold, add a few drops of Asafoetida oil to a vessel of hot water and inhale the steam of the oil. You may even rub the oil on your chest, neck and back. This will offer you relief from chest congestion and general uneasiness one feels due to cold. Stomachache – To soothe stomach ache, dissolve a piece of Asafoetida (Hing) in a cup of water. Soak a cotton cloth in the solution and apply it on the stomach. 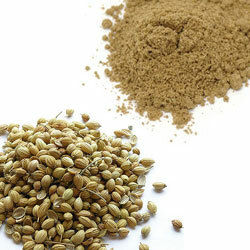 Coriander seeds are very necessary ingredients in Indian cooking and is extensively used to add flavor to the food. But apart from its flavor, it also has some very interesting and useful medicinal properties that can serve as a home remedy for a wide range of problems. Coriander is a great source of potassium, iron, folic acid, magnesium, calcium and vitamins A, K and C.
Lowering cholesterol level – Boil 2 teaspoons of coriander seeds powder in 1 cup of water and drink the solution daily to lower blood cholesterol levels. Inflammation – Take equal quantity of vinegar and coriander powder and make a smooth paste by mixing it thoroughly. Apply it on the affected body parts. This will help in easing out inflammation and will reduce swelling as well. Dark lips – Prepare a mixture of 2 teaspoons of green coriander leaf juice and 1 teaspoon of lemon juice. Apply this all over the lips and keep it overnight. Wash off next morning and repeat the same for some days to reveal healthy and pink lips. Menstrual irregularities – Boil around 6 grams of coriander seeds in 1/2 litre of water and add 1 teaspoon of sugar. Cool the mixture, strain out the seeds and drink it when it is still warm. This mixture should be consumed thrice a day daily. If you suffer from heavy menstrual flow, then include coriander seeds in your regular diet. Urinary inflammation – Take coriander powder and Amla (Indian gooseberry) powder in equal quantity and soak both of them in 1 cup of water overnight. Blend this mixture and filter it with a sieve. Drink this mixture once a day for a week. Nose Bleeding – Crush about 20 grams Coriander leaves along with little Camphor and use the juice so obtained as nasal drops to stop nose bleeds. If camphor is not available then just use fresh coriander leaf juice. Vertigo – Prepare a solution by soaking 1 teaspoon of coriander seeds and 1 teaspoon of dried Amla powder in a glass of water overnight. Strain the liquid, add a little sugar in it for taste and drink the solution. Follow this therapy for a few days. Rashes – Crush some fresh coriander leaves and add some water to form a paste. Use this paste on skin to get rid of rashes. You can mix honey as well. Capsaicin is the substance that makes Red Chilies hot and this is currently being researched for a range of health benefits, including possible anticancer effects. 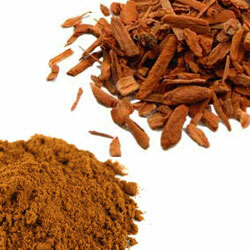 This hot spice can be used as remedy for quite a few problems with effective results. Headache and Migraine – 7 dried Red Chilies are put in about 150 Grams of heated Ghee and fried till the Chillies turn blackish. The Ghee is then separated from the Red Chilies and stored in a bottle. This Ghee can be used to lightly massage the forehead and the area around the ears to experience relief from Headache and Migraine. Scorpion Sting – 3 pinches Red Chili powder is mixed with a few drops of water to prepare a thick paste. This paste, if applied over the body part affected by the scorpion sting, gives relief and is said to reduce and remove the poison. Throat irritation – Put 10 Rose flowers in 1 cup of water and boil it over simmering flame for 2 minutes. Strain the solution and add about 3 pinches of Red Chili powder. Use this solution for gargling when it is comfortably warm to get rid of throat irritation. Arthritic pain – To derive the analgesic benefits of chili, add 1 inch long fresh ginger and 1 teaspoon of Red Chili powder in 1/2 cup of warm sesame seed oil and mix it thoroughly. Rub this oil gently on the affected body parts to heal the pain. Moreover, when dealing with rheumatoid arthritis, you can prepare a home medicine by putting 10 grams of chili pepper powder in a mixture of 60 ml of water and 75 ml of whisky, vodka or brandy. The mixture can be stored in a bottle and used whenever necessary. Flatulence – To get rid of gas and flatulence, prepare a remedy by adding 1/2 teaspoon of Red Chili powder, a pinch of black salt and 1/2 teaspoon of cumin seed powder to 1 glass of warm water. Stir it thoroughly till the ingredients mixes evenly with the water. Consume it when the symptoms occur. Ring worm – Heat up 175 ml of mustard oil and then put 125 gms of Red Chilli in it. Fry it until the chillis turn blackish. Remove the vessel, let it cool, strain the oil and store it in a bottle. Apply this oil to the ring worm 2 to 3 times a day.